Uniqlo is a clothing store that first opened in Hiroshina Japan in 1984. They make clothes that transcend all categories and social groups. Uniqlo makes clothes for everyone to enjoy, going beyond age, gender, occupation, ethnicity, and other ways people are defined. 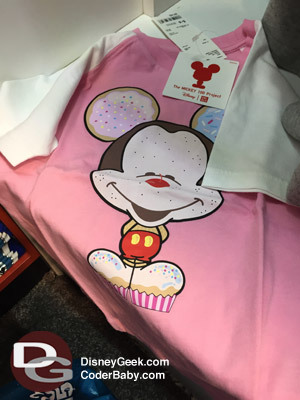 In recent years, the “Disney Project” started which used images of our beloved characters featured on Uniqlo’s items. 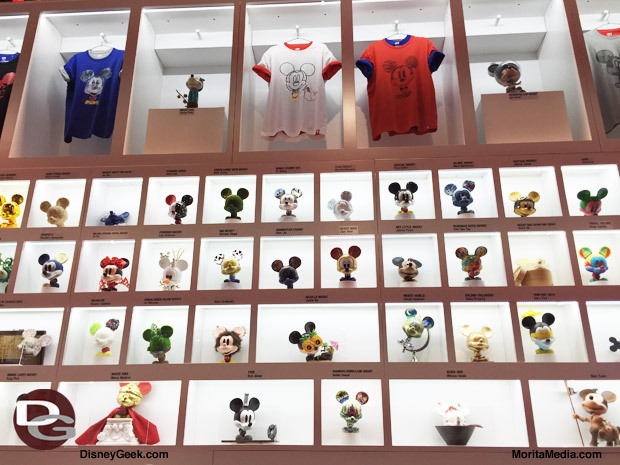 This partnership with Uniqlo and Disney continues to grow and inspire. 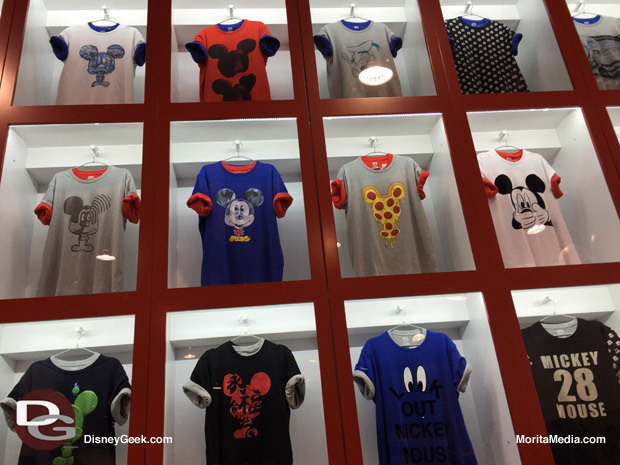 Part of the “Disney Project” is the Magic for All line at Uniqlo is distinctive, and innovative products that capture the wonder of Disney, available in Woman, Men, Girls, and Boys. I purchased two items from this store. A red ultra light down jacket with images of Mickey on the interior and a Mickey CupCake t-shirt for my daughter. 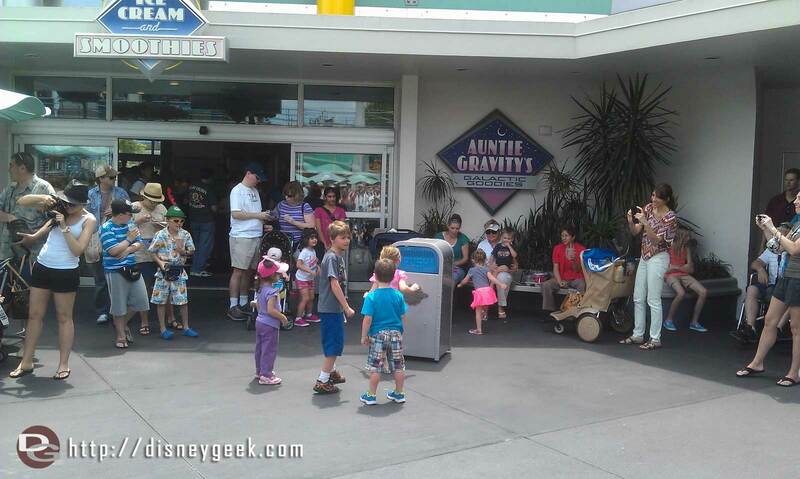 This design along with a Mickey Pizza were the best-sellers at the show. Too bad they did not have women sizes, but I did see some people purchase the biggest child size to wear. 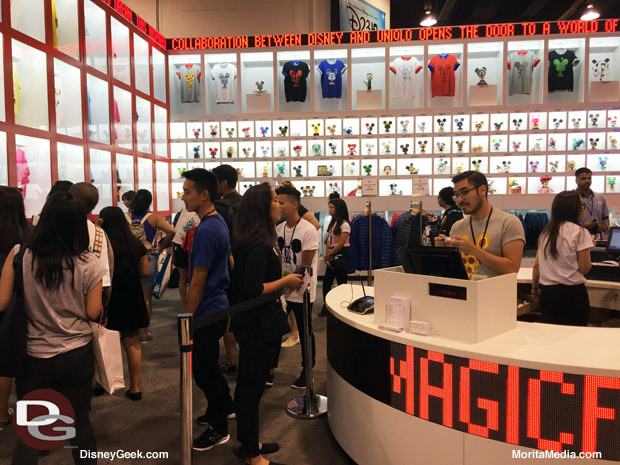 Uniqlo had special discounts for D23 Expo attendees. You can purchase these items within the next few weeks at the stores and online but at retail prices. I was also excited to learn that a new Uniqlo is opening up in my area this Fall in Torrance, CA. 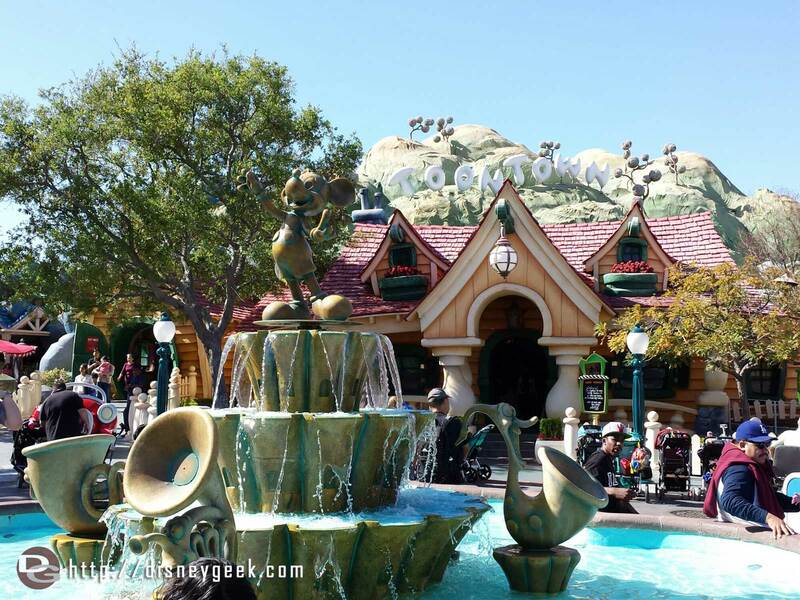 Over 200 artists were given the task of creating a unique Disney-inspired artwork. These art pieces then became the inspiration for many of the t-shirts that Uniqlo sell in their Magic for All line. 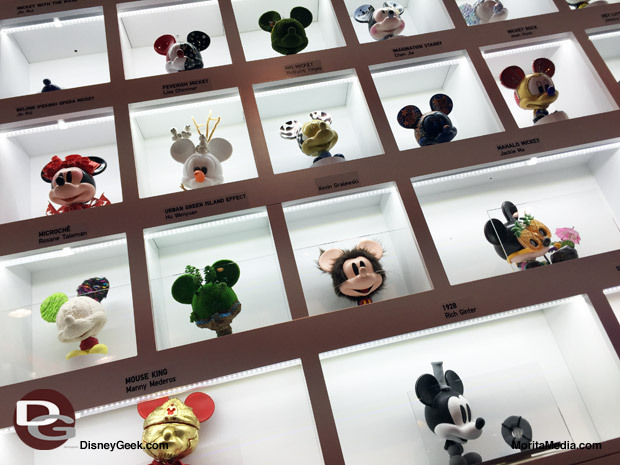 Here are some photos of their magical booth at D23 Expo 2015. 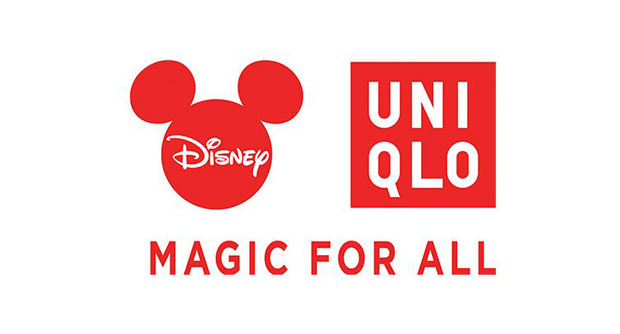 For more updated news on Uniqlo and the Disney Project, please see their online store at uniqlo.com. Daynah is a mother of one who’s passionate about technology and the web. 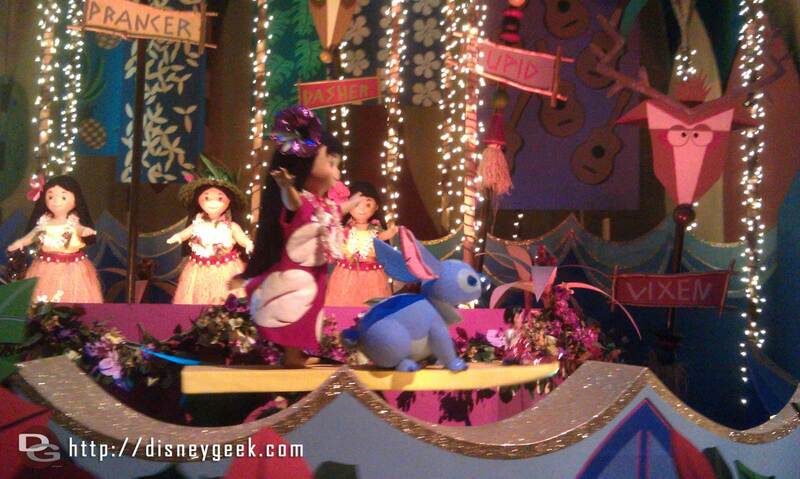 She enjoys blogging about motherhood and crafty Disney projects, as well as browsing Pinterest. You can find her at latest crafts at Scrapp’n and join her motherhood journey at CoderBaby.com. You can also follow her on Twitter.